An endoscope is a tube camera with lights used to view specific internal anatomy of the equine patient. Endoscopy is a minimally invasive procedure used to view the upper airway of the horse. This includes the larynx, pharynx, gutteral pouches, ethmoids, sinuses, and trachea. The portable endoscope is commonly used to diagnose pharyngitis, left laryngeal hemiplagia (a horse called a “roarer”), dorsal displacement of the soft palate, ethmoid hematomas, and gutteral pouch infections among other common disorders affecting the equine patient. 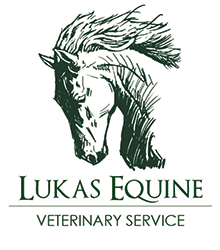 Lukas Equine is equipped with a portable endoscope that can be used on-site. Does your horse require endoscopy services? Please don’t hesitate to contact us today!